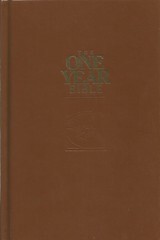 The One Year Bible divides the Bible into readings for each day of the year. 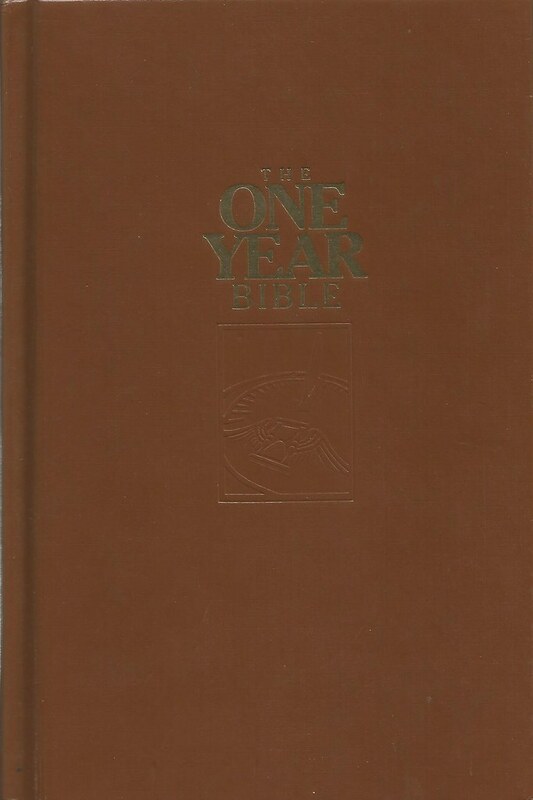 Selections from Old and New Testaments, a Psalm and a few proverbs are read per day. 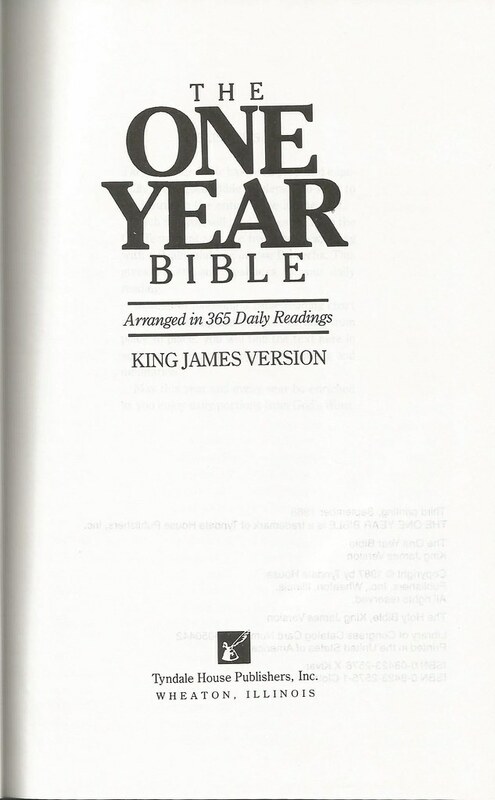 Besides the King James Version, The One Year Bible is available in other translations such the The Living Bible, New Living Translation, and the New International Version among others.